If you remodel and possibly extend your kitchen, this is the right time to think about creating your utility room. A utility room adds value to any home as long as it does not compromise the functionality of the kitchen or bathroom. 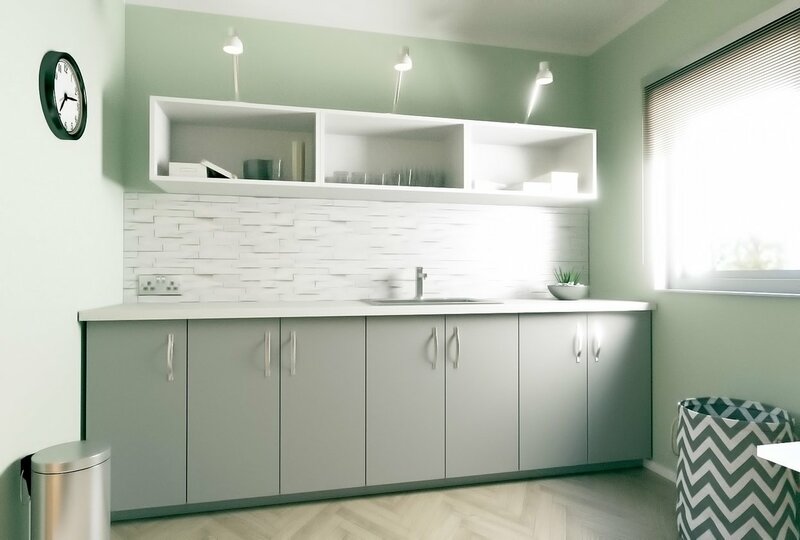 With the increase in the number of gadgets and appliances in the kitchen, incorporating this room makes sense to have a separate space where you can store them. As important as a utility room is, many people ignore this space because it is mostly hidden. This should not be the case. It is good to have a utility room that is well organized and appealing but practical. Use a simple approach with quality features and good storage to pull off this look. Here are some home renovation ideas for a well-organized utility room. A butler sink set on a wooden work surface is ideal in a utility room. You can combine it with a painted cabinetry and kitchen mixer taps to finish off the look. The ceramic sinks are usually hardwearing and big enough for any cleaning task. 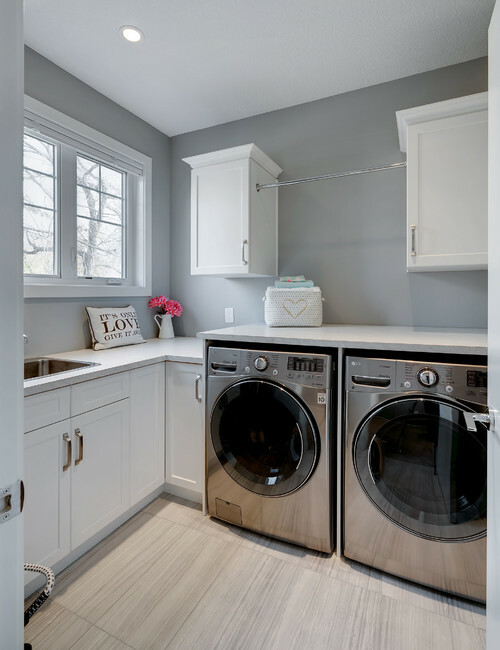 A dedicated utility area for laundry makes your washing experience quite pleasant. Make your task simpler by adding some wooden shelves just above the sink to store your detergent, softener, bleach, and soaps. Use a neutral color scheme for the decoration in your utility room. A hard-wearing stone floor and shaker-style cabinetry are quite practical as they allow sufficient storage space for your appliances. Enamel containers are also for keeping your washing powder and other cleaning products organized. Include some storage space for shoes and boots when designing your utility room. Some wooden shelving painted in subtle colors matching the cabinetry would be a great choice. When doing a home renovation, make good use of your utility room by adding a row of these hooks. They can be used to hang gloves, coats, hats and any other items that can make the home look untidy if placed just anywhere. Countertop space is essential for folding or even holding your laundry basket as you work. You can customize a counter look by adding one over your washer and dryer. Most people use dark and windowless spaces as their utility rooms. As such, it is essential to consider lighting. You can use overhead fixtures or under-cabinet lighting, or go further to add canned ceiling lights and pendants. Apart from practicability, beautiful lighting fixtures enhance the design of a utility room. Adding some racks and rails on the walls gives you some space for drying your laundry indoors. Most people neglect a utility room just because it is hidden from outsiders and guests. Your utility room need not be dull. Use fresh color ideas on your cabinets and doors. This way, your space will be lively and fun to work in. There are many design ideas for your home renovation project for the utility room. Many of them are easy to do, but some require support from a home renovation professional like Alair Homes Edmonton. Look around your utility room today and see how you can upgrade it to make it more organized and add value to your home, or contact us to discuss your project.